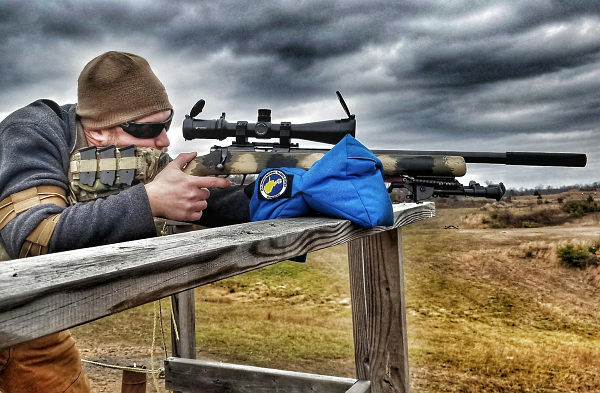 The brand new Ruger Precision Rimfire could become one of 2018’s most popular rifles, if the success of its “big brother”, the centerfire Ruger Precision Rifle, is any indicator. 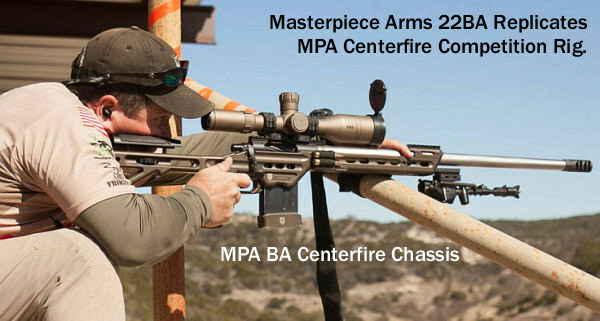 This .22 LR rig offers a turn-key rimfire solution for tactical shooters, PRS competitors, and anyone who likes modular rifles. 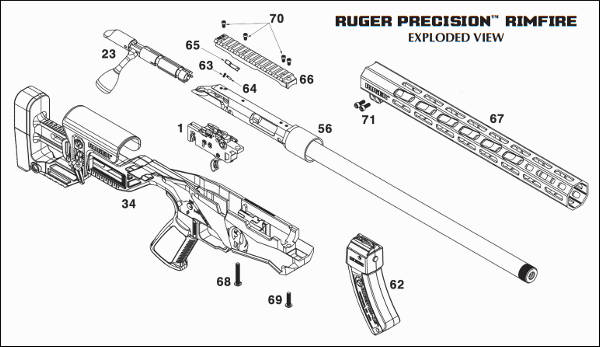 The Ruger Precision Rimfire rifle offers adjustable cheekpiece and length of pull, AR-style grip, free-floating M-Lok fore-end, and a 18″ barrel (1:16″ twist) that is pre-threaded for brakes or suppressor. You get all this for about $400.00 street price (MSRP is $529.00). Facebook Photo by Dustin S. who just purchased one. Looks good with optic, bipod, and suppressor. 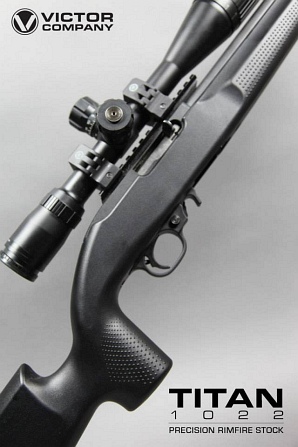 The Ruger Precision Rimfire .22 LR rifle is so new that no vendor has one in inventory yet. 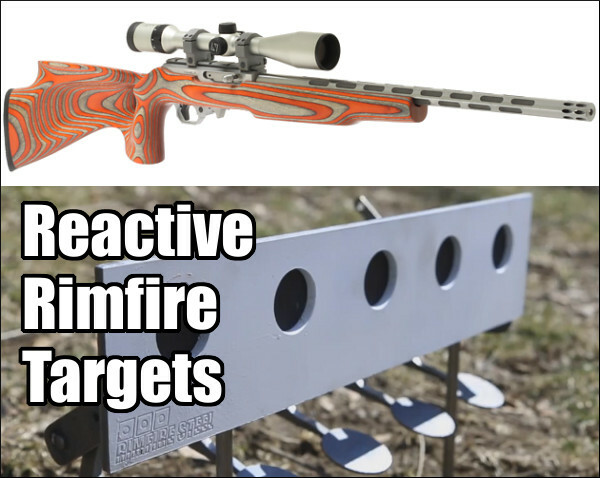 But you CAN pre-order one now for $399.99 from Sportsmans Outdoor Superstore (MSRP: $529.00). 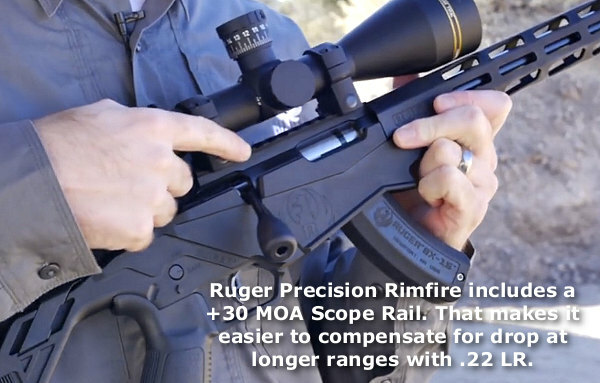 For PRS shooters and Ruger Precision Rifle owners, this may be an ideal rimfire cross-trainer, with ergonomics and balance like their centerfire rig. 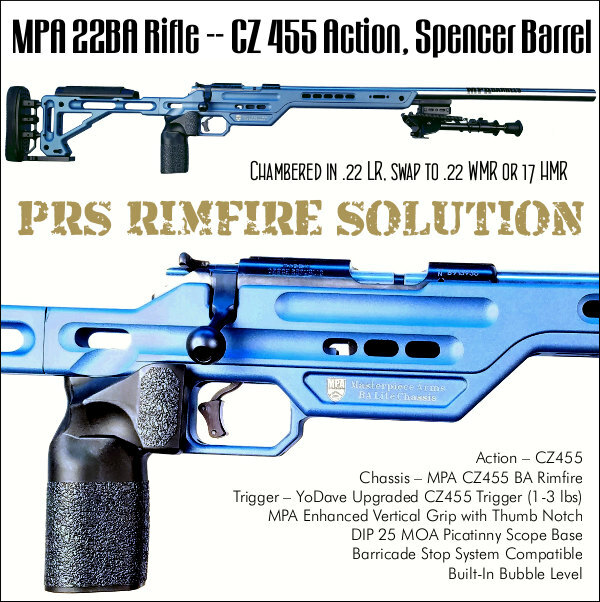 This PRS-style .22 LR rig has some very interesting features, including adjustable bolt throw that lets shooters change from a rimfire 1.5″ bolt throw to a short-action centerfire 3″ bolt throw, reducing the chance of short-stroking your bolt in competition. 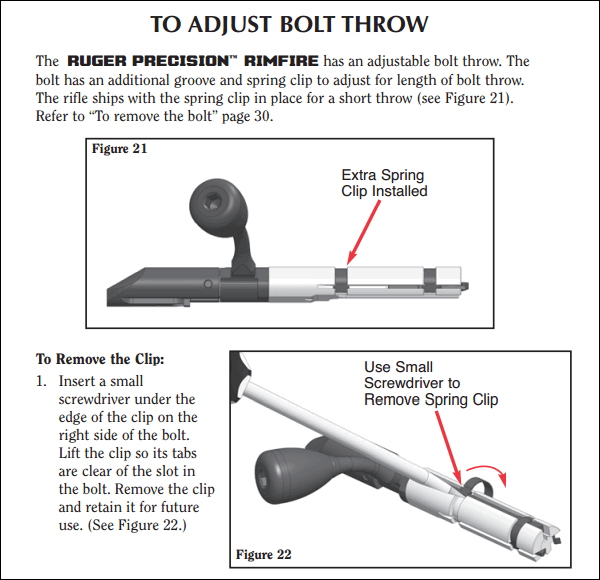 The Ruger Marksman trigger adjusts from 2.25 to 5.0 pounds. 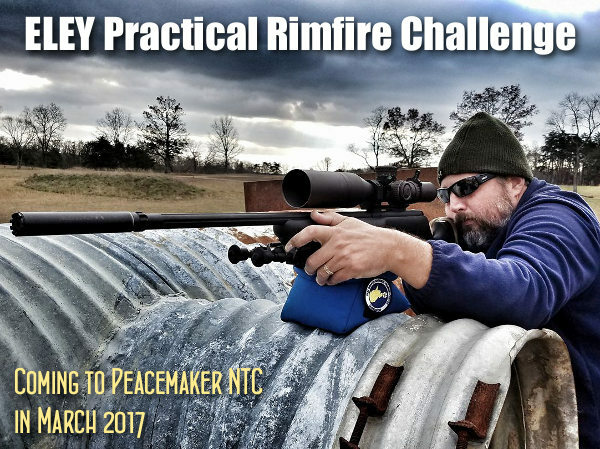 Share the post "Ruger Precision Rimfire — New $400 .22 LR Modular Rifle"
For affordable, low-recoil shooting fun it’s hard to beat a semi-auto .22 LR. 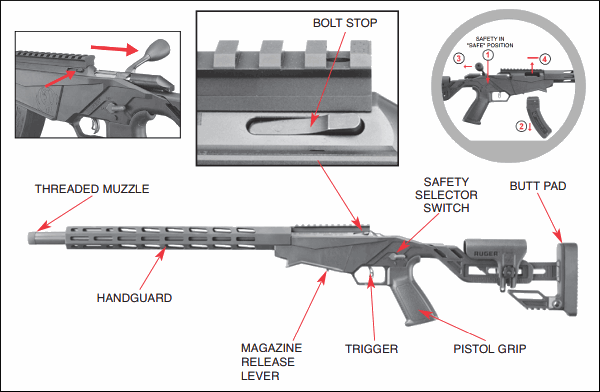 While Ruger’s 10/22 is the most popular semi-auto .22 LR rifle, manufacturers are now offering AR-style self-loading rimfire rifles. 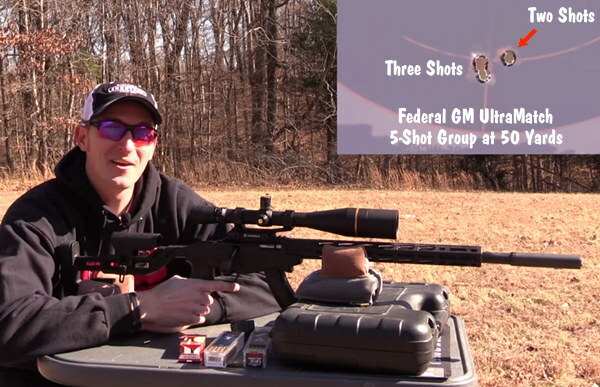 We like AR-style .22LR rigs for Rimfire Tactical Matches and 3-Gun cross-training. 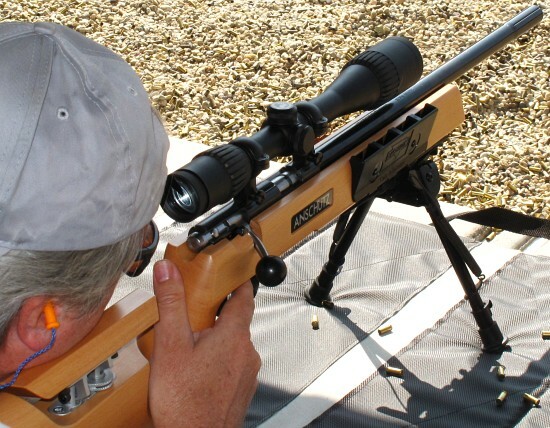 With an AR-style rimfire rifle you can train with low-cost ammunition while enjoying the same ergonomics, controls, and sighting systems found on your centerfire ARs. 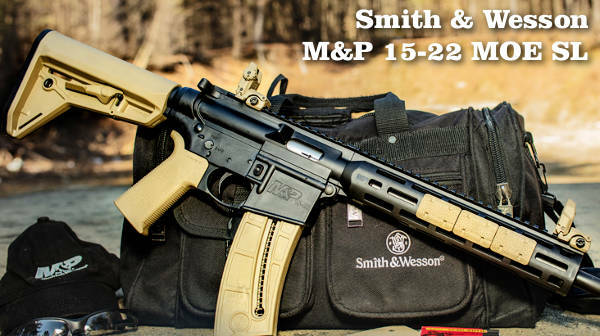 Smith & Wesson has upgraded its M&P 15-22, a fun rifle that we’ve praised in the past. 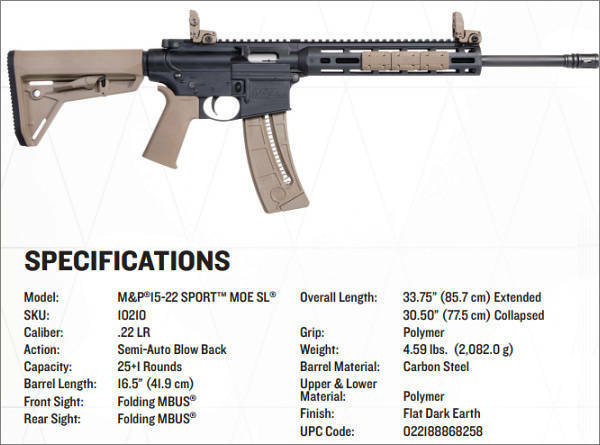 The new M&P 15-22 Sport MOE SL model (Magpul Original Equipment Slim Line) features a more comfortable handguard, an improved grip, and an adjustable Magpul buttstock. 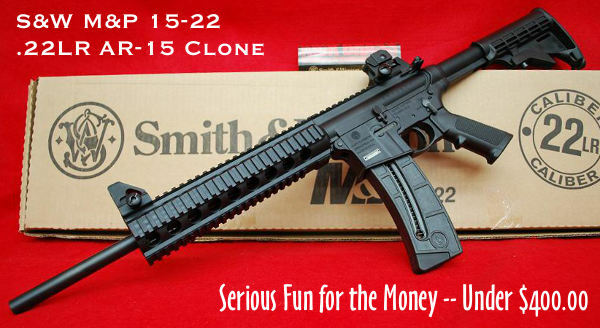 The dedicated .22 LR M&P rifle retains the look and features of the company’s popular M&P rifle line, with the enhanced ergonomics of Magpul furniture. It’s offered with Flat Dark Earth (tan) furniture or dressed in matte black. 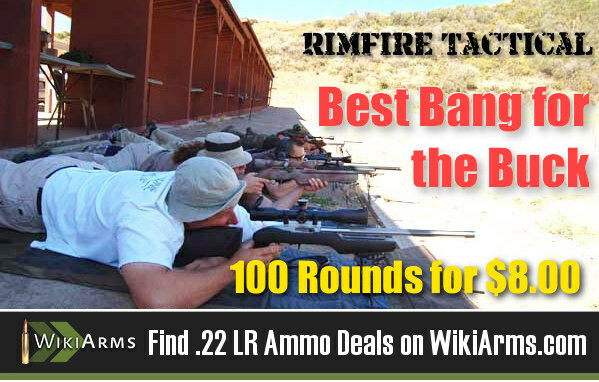 These rimfire versions of the AR-15 are excellent training tools for 3-Gun and service rifle shooters. 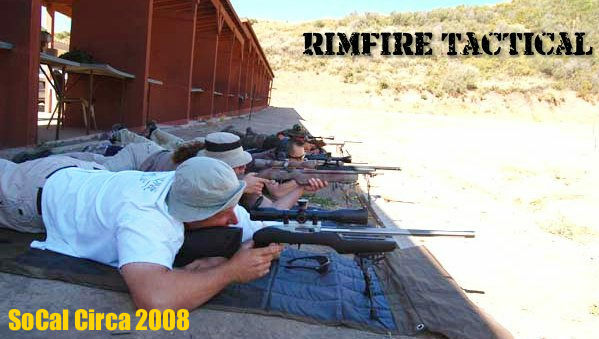 You can practice with less expensive rimfire ammo, and save wear and tear on your centerfire ARs. 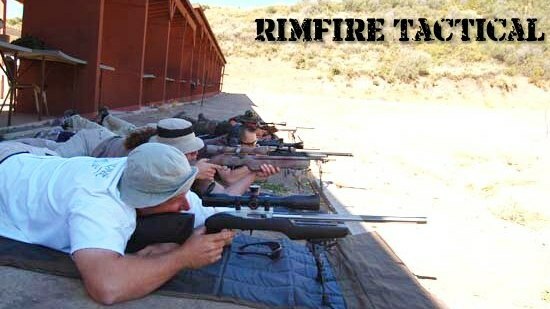 Rimfire AR clones also work great for Rimfire Tactical Matches. 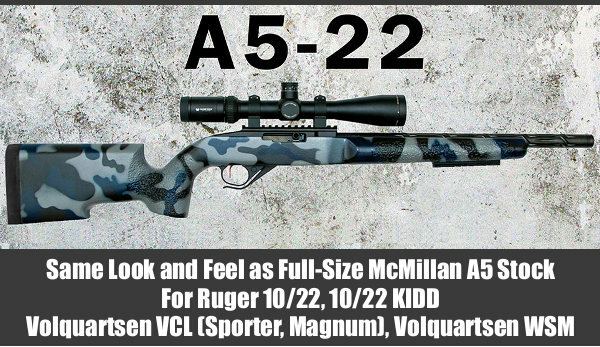 Share the post "Rimfire AR-Style Rifles — Fun, Accurate, and Practical/Tactical"
Victor Company USA, manufacturer of tactical “skins” for AI rifle chassis, has introduced a new tactical stock for Ruger’s popular 10/22. 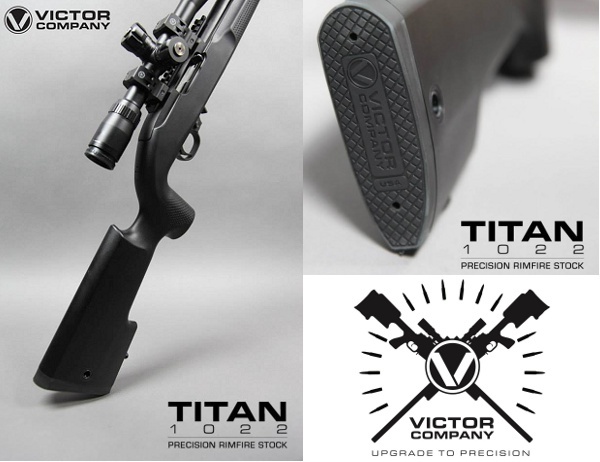 Victor Company’s new Titan 1022 Precision Rimfire Stock features a vertical-style grip and a wide, beavertail forearm with molded nibs for enhanced grip. In the rear, the buttstock features a cut-out for the user’s off hand with a deeper “keel” for riding the bags. 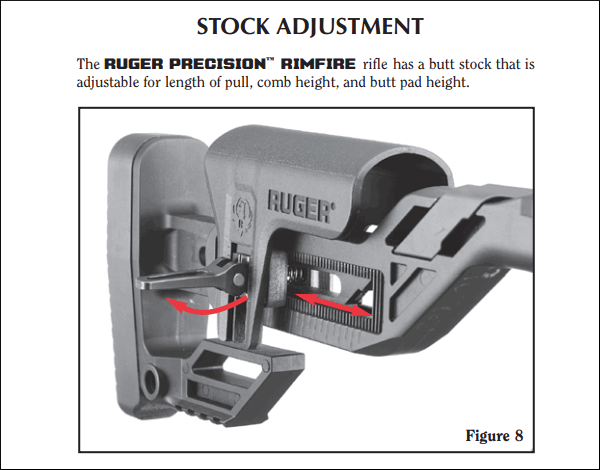 This stock should work well for the Tactical Rimfire game. 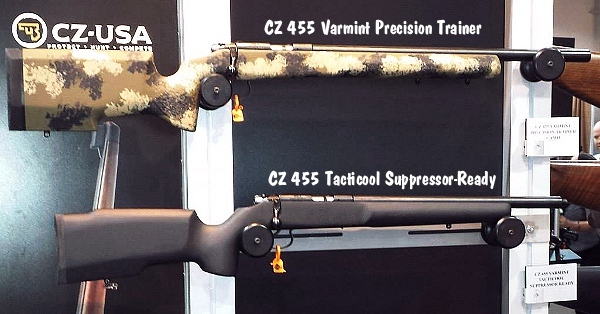 We also bet many varmint shooters will order these stocks — a Ruger 10/22 never looked so good. This product, set for release in July, 2014, is so new we don’t have pricing yet. 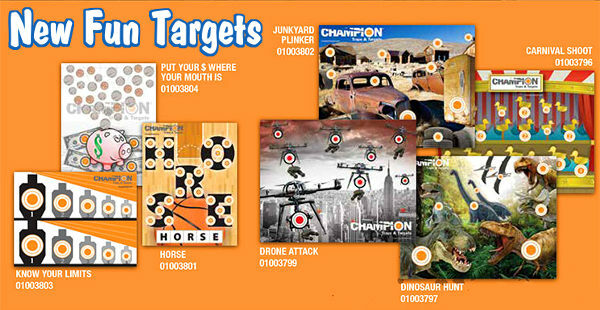 Visit www.victorcompanyusa.com for more details in a week or two. 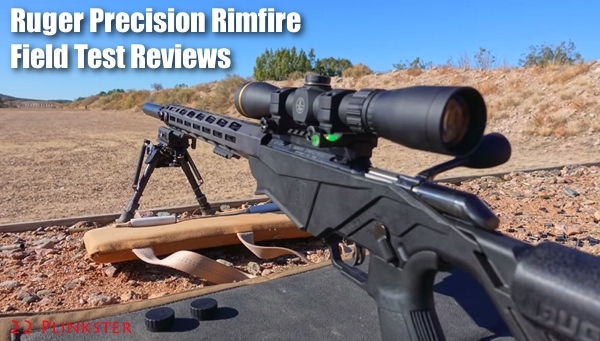 Share the post "New Tactical Stock for Ruger 10/22 from Victor Company USA"
In our report about the new Tactical Rimfire discipline pioneered in California, we predicted that the major manufacturers would eventually develop rifles tailored for this fun, low-cost shooting sport. 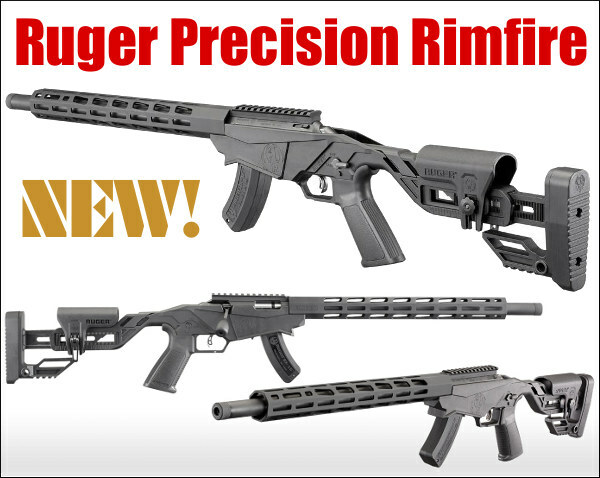 Sure enough, Ruger has released a new version of its popular 10/22 rifle that would be well-suited for tactical rimfire matches. The new Ruger 10/22VLEH Target Tactical Rifle (TTR) features a Hogue OverMolded® synthetic stock, and a compact 16-1/8″ bull barrel (.920″ OD). The Hogue stock comes with double palm swells, a varminter-style forend, and sling swivel studs. 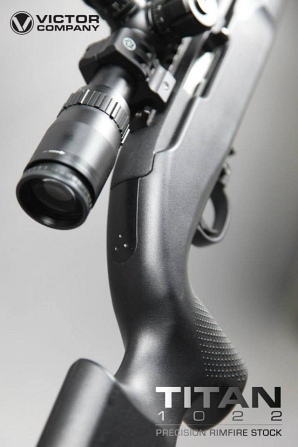 Ruger’s TTR ships with a scope rail on top of the receiver, and Ruger includes an adjustable (non-swivel) bipod with the rifle. 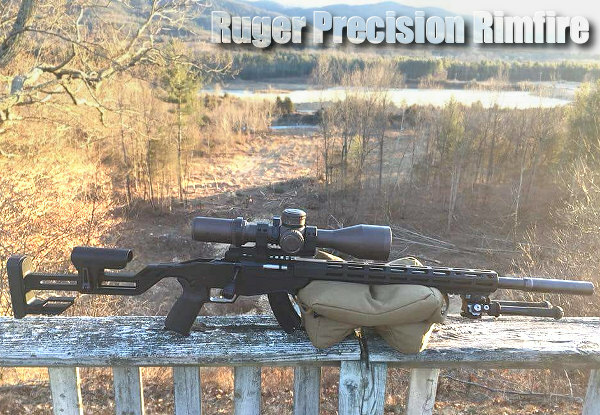 Overall, there is nothing really ground-breaking about this rifle, but Ruger has included some useful upgrades (stock, scope rail, bipod), that make the rifle more suitable for gun games. 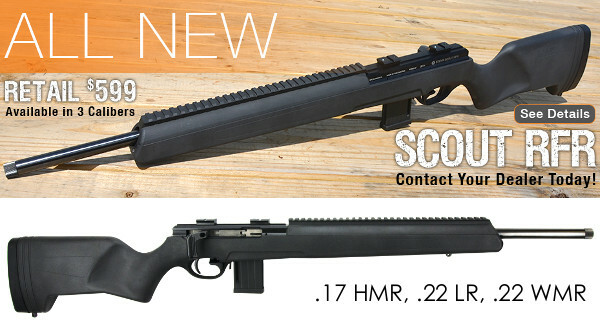 Rather than buy a low-end 10/22 and toss the barrel and original stock, a shooter can now buy a 10/22 that’s pretty much ready to go (except for a trigger upgrade). 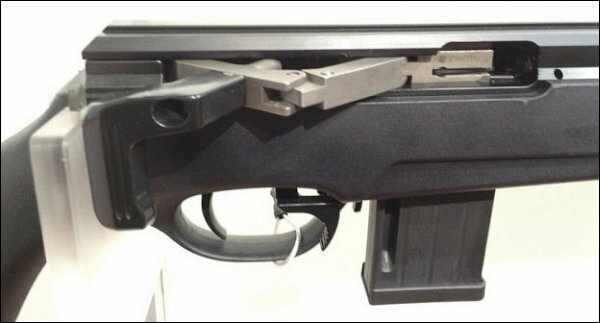 Adults shooting the new 10/22 TTR will want to add buttpad spacers as the gun ships with a very short 12 3/4″ length of pull from the factory. 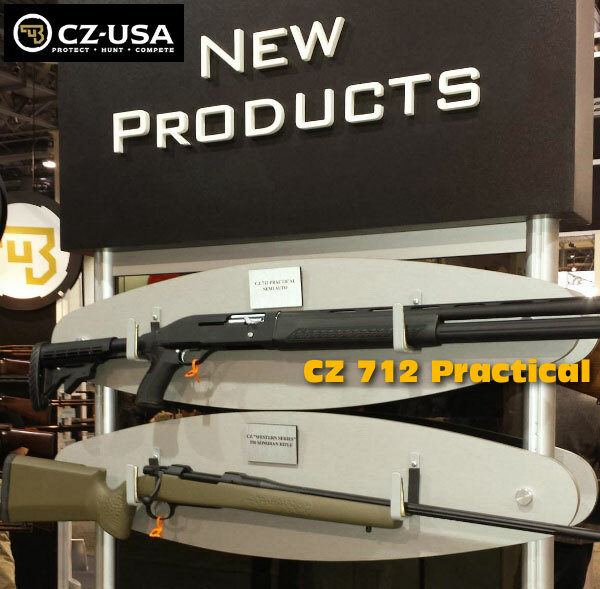 Share the post "Ruger Releases 'Target Tactical' 10/22 in Hogue Stock"